Rev. Cookie Bracey has been a chaplain with the Veteran Affairs Medical Center since 2003. PHILADELPHIA, PA, August 30, 2018 — Marquis Who's Who, the world's premier publisher of biographical profiles, is proud to present Rev. Cookie Bracey with the Albert Nelson Marquis Lifetime Achievement Award. An accomplished listee, Rev. Bracey celebrates many years' experience in her professional network, and has been noted for achievements, leadership qualities, and the credentials and successes she has accrued in her field. As in all Marquis Who's Who biographical volumes, individuals profiled are selected on the basis of current reference value. Factors such as position, noteworthy accomplishments, visibility, and prominence in a field are all taken into account during the selection process. Rev. 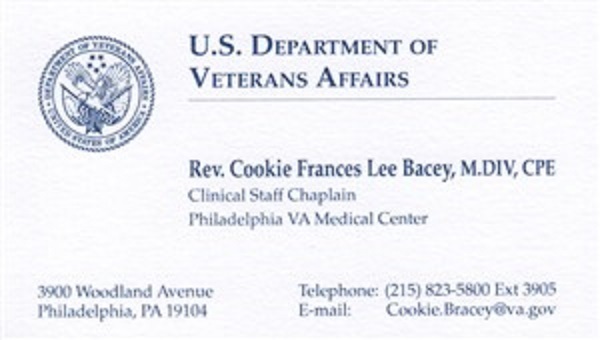 Bracey has been a chaplain with the Veteran Affairs Medical Center since 2003. Before this appointment, she worked as the senior pastor and director of the after-school program with Mount Carmel United Methodist Church from 1999 to 2011. Rev. Bracey has also been a chaplain and volunteer chaplain at the Methodist Hospital in Philadelphia from 1990 to 1991 and the American Red Cross and Battleship New Jersey in 2004. In addition, Rev. Bracey was a pastor at Saint Matthew's United Methodist Church in Trevose, Pennsylvania from 1992 to 1999, Saint Luke's-Snyder Avenue United Methodist Church in Philadelphia from 1990 to 1992, and the United Methodist Church in Catonsville and Ellicott City, Maryland from 1986 to 1990. Prior to her religious titles, she worked at the United Methodist Church of Philadelphia as the parish community developer from 1984 to 1986 and an administrative assistant from 1963 to 1966. During her career, Rev. Bracey has had the opportunity to travel as a missionary to a number of countries such as Brazil, Costa Rica, the Dominican Republic, Zimbabwe, El Salvador, England, and Israel. Rev. Bracey earned a Bachelor of Social Work from Temple University in 1983, and went on to receive a Master of Divinity from Wesley Theological Seminary in 1990. She has also been an adjunct faculty member of the Eastern Baptist Theological Seminary in Wynnewood, Pennsylvania since 1994 and the Henry George School in Philadelphia since 1996. In addition, she has taught at the School of Developing Ministries, Howe Elementary School, and Rowen Elementary School, all located in Philadelphia. Rev. Bracey was the supervisor of Pioneers International, Inc. in 2001, and has served on a large number of task forces, commissions, and boards over the span of her career. Rev. Bracey has been a member of various organizations and associations throughout her life, such as the Church Ushers Association of Philadelphia, the Interfaith Center of Greater Philadelphia Visionary Women, the American Association of University Women, and the American Association of Christian Counselors, among many others. She has also received numerous honors related to her profession, including the 20 Years of Volunteer Service Award from the Civil Air Patrol Chaplain Corps in 2018 and the Women's Mission/Ministry Educator Award from the United Methodist Church in 2017. Rev. Bracey has been listed in several editions of Who's Who in America, Who's Who in the East, Who's Who in the World, and Who's Who of American Women, as well as the fourth edition of Who's Who in Religion. In recognition of outstanding contributions to her profession and the Marquis Who's Who community, Rev. Cookie Bracey has been featured on the Albert Nelson Marquis Lifetime Achievement website. Please visit www.ltachievers.com for more information about this honor.